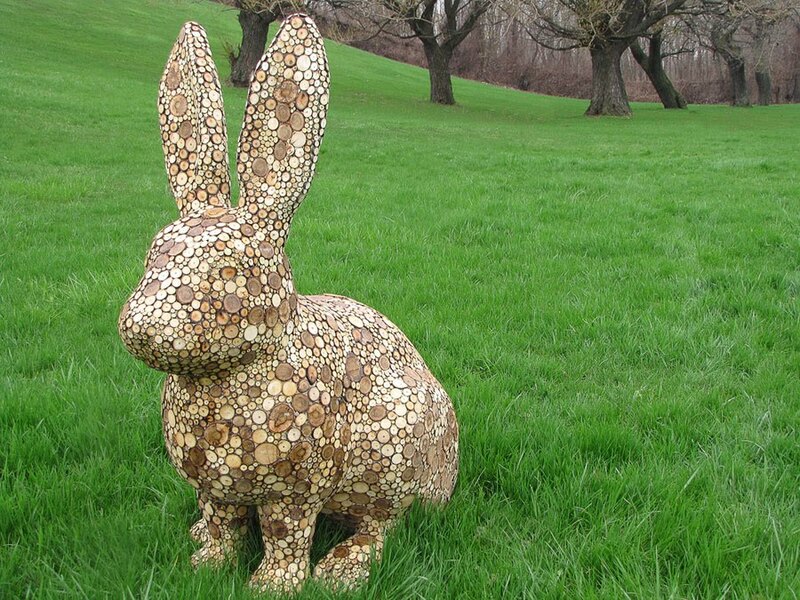 Sculpture entitled "Heartwood Rabbit" by artist Olga Ziemska. On Thursday, May 12, 2011, Cleveland will launch the sixth in its series of annual public art campaigns celebrating the Lunar Chinese Year. This year’s project commemorates the Chinese Year of the Rabbit, which began with the new moon February 3, 2011. To kick off the celebration, St. Clair Superior Development Corporation (SCSDC) will install 24 fiberglass rabbit sculptures featuring unique designs created and applied by Northeast Ohio artists/organizations. The sculptures are sponsored by dozens of local businesses and will be installed throughout Cleveland’s St. Clair Superior neighborhood and in other key locations in and around downtown Cleveland. The May 12 installation and a series of public events to follow will showcase Cleveland’s AsiaTown community as well as St. Clair Superior’s blossoming arts district and thriving business community. Through a variety of education programs and other events throughout the year, the Year of the Rabbit Project promotes investment in the St. Clair Superior neighborhood, celebrates city-wide cultural awareness and supports arts education and the local artist community. This entry was posted in Art News, cleveland, ohio and tagged 2011, cleveland, installation, ohio, rabbit, st. clair superior, year. Bookmark the permalink.